The Industrial Development Bureau of the Department of Economic Development (IDB) has signed a Memorandum of Understanding (MoU) with Abu Dhabi Ports to establish a joint-programme that will help attract investment and further develop and enhance the fast-evolving industrial sector of Abu Dhabi. The MoU, signed at the Abu Dhabi Department of Economic Development by Eng. Ayman Al-Makkawy, Director General of the Industrial Development Bureau, and Captain Mohamed Juma Al Shamisi, CEO Abu Dhabi Ports, is built on the foundation of knowledge-exchange. The agreement establishes a framework for mutual cooperation and collaboration, strengthening dialogue between the two organisations and deepening technical know-how on how best to facilitate industrial growth for the Emirate of Abu Dhabi. In addition, Eng. Al Makkawy said that in efforts to further facilitate the issuance process of industrial licenses the bureau will be appointing a dedicated service within Kizad’s One Stop Shop in Taweela. Having on-the-ground representation will allow the Industrial Development Bureau to provide guidance and the necessary support to investors. “Khalifa Industrial Zone [Kizad] offers outstanding access to markets, world-class infrastructure and dedicated investor support – combined with services and facilitations offered by the IDB, we are bound to position the Emirate as the ideal choice for industrial investments”, Captain Al Shamisi concluded. As part of the collaborative efforts, Abu Dhabi Ports and the IDB will hold regular senior management meetings to keep up-to-date on industry news and identify possible investment potentials. The MoU will also establish specialised teams, including Investor Relations, Utilities Management and Facilitation, Industrial Sector Development as well as Marketing and Promotions, dedicated to discussing and assigning solutions to improve and develop services, and to address and resolve any constraints on the further development of Abu Dhabi’s industrial sector. 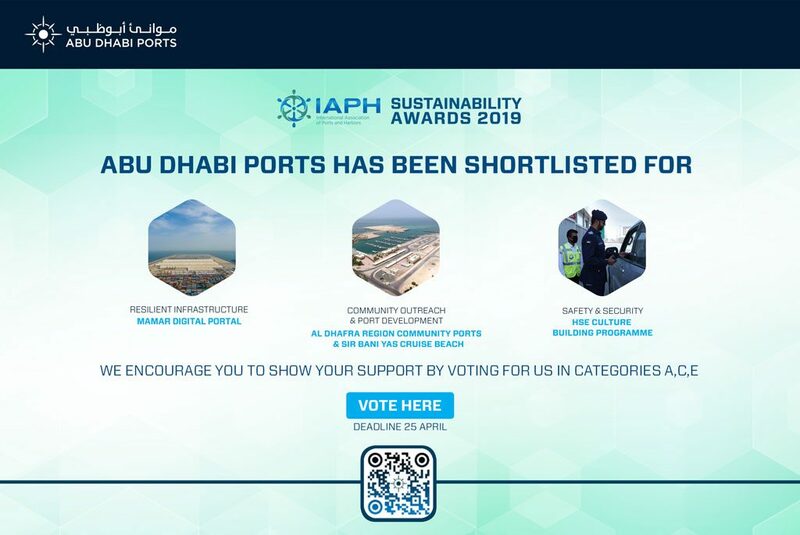 Finally, Abu Dhabi Ports’ Kizad and the IDB will also look to host joint employee training programmes and industry workshops to keep competencies up-to-date with global best-practices.